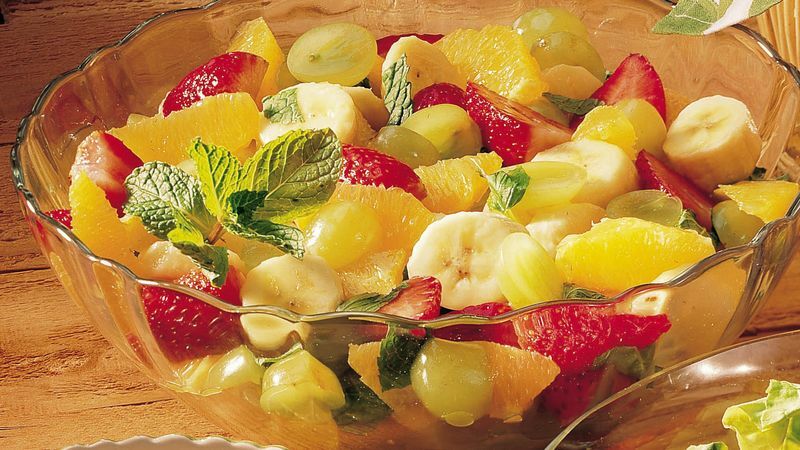 Toss bananas, oranges, strawberries and grapes. Mix orange juice and honey; pour over fruit. Toss salad with mint leaves before serving. Mint is extremely easy to grow in most climates. If you enjoy fresh mint, plant a pot or grow a small patch in your yard, and you’ll have plenty on hand for all your cooking needs. Grapes a little on the small side? Use them whole to save the step of slicing them.